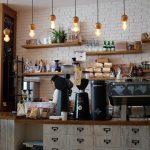 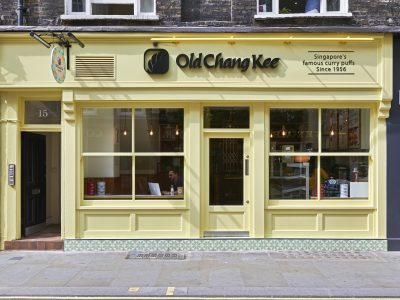 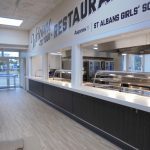 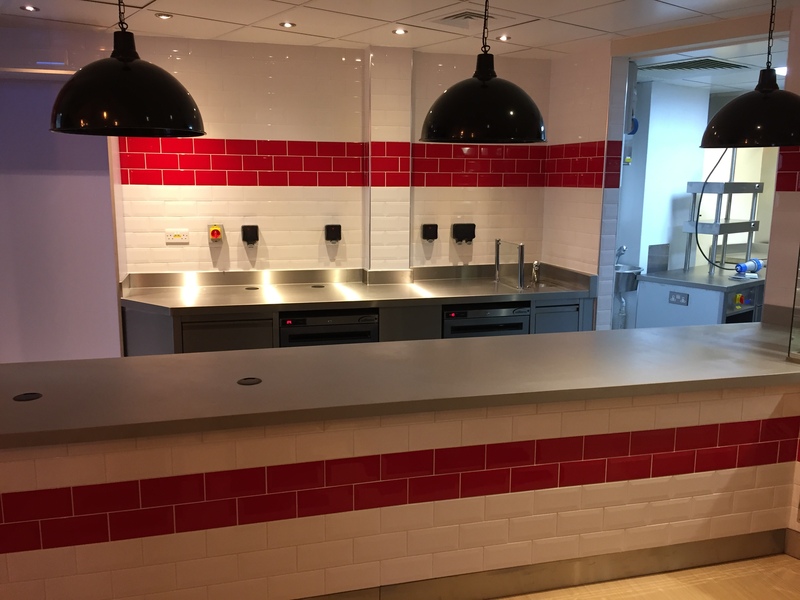 The brief was to rip out and upgrade existing out of date facilitates with a new more modern and contemporary style service counter with a self-contained service kitchen providing Pastries, Panini’s, wraps and coffees. 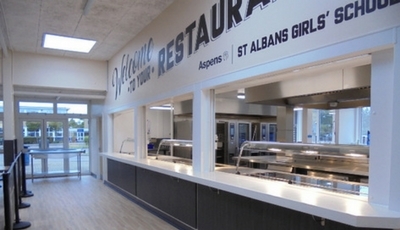 We also supplied and fitted hygienic white-rock cladding to the walls. 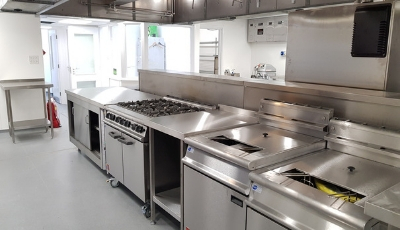 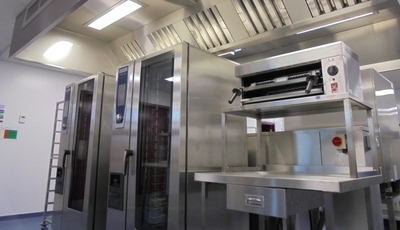 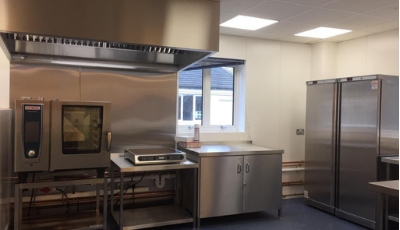 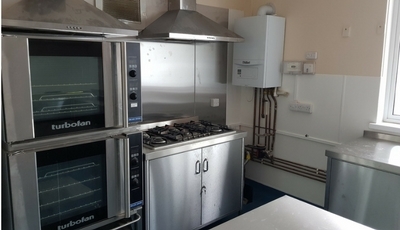 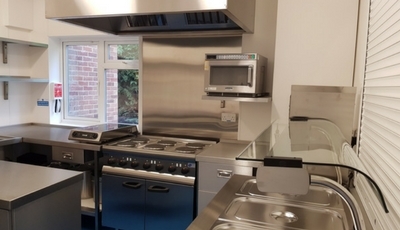 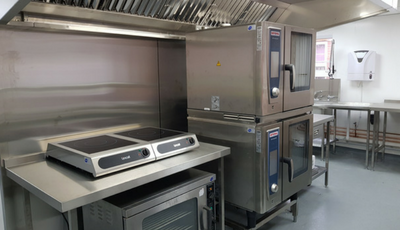 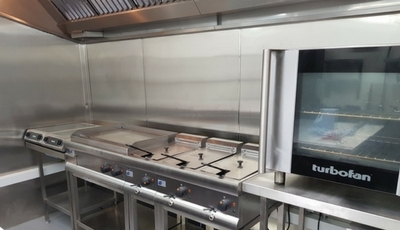 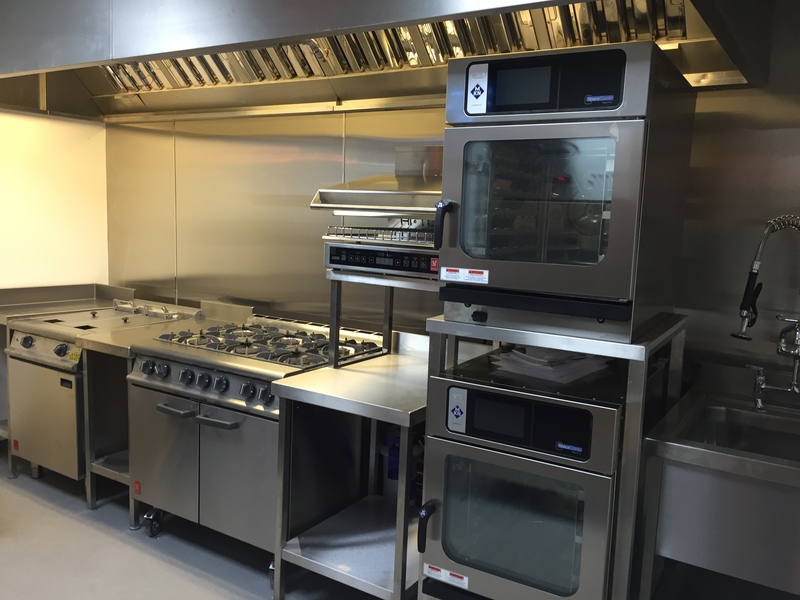 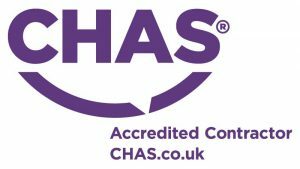 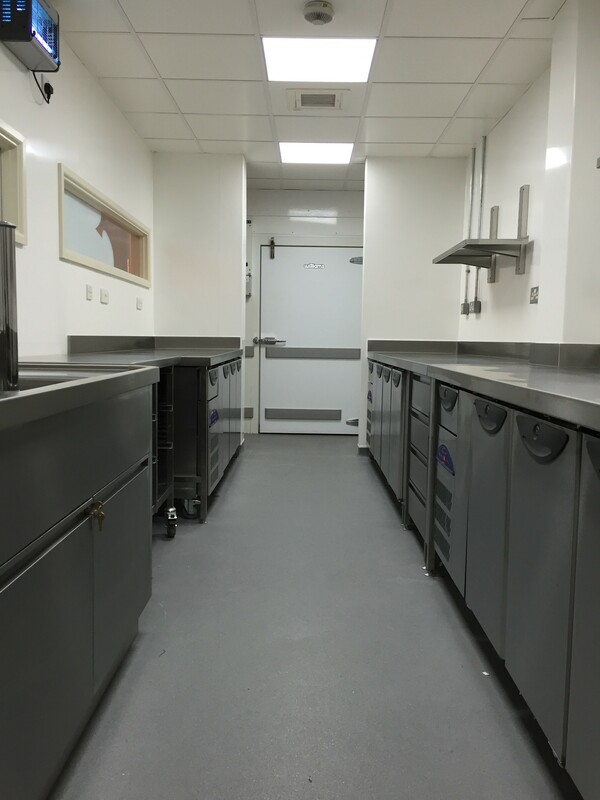 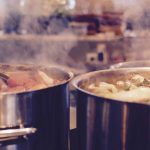 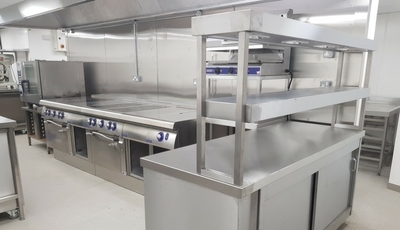 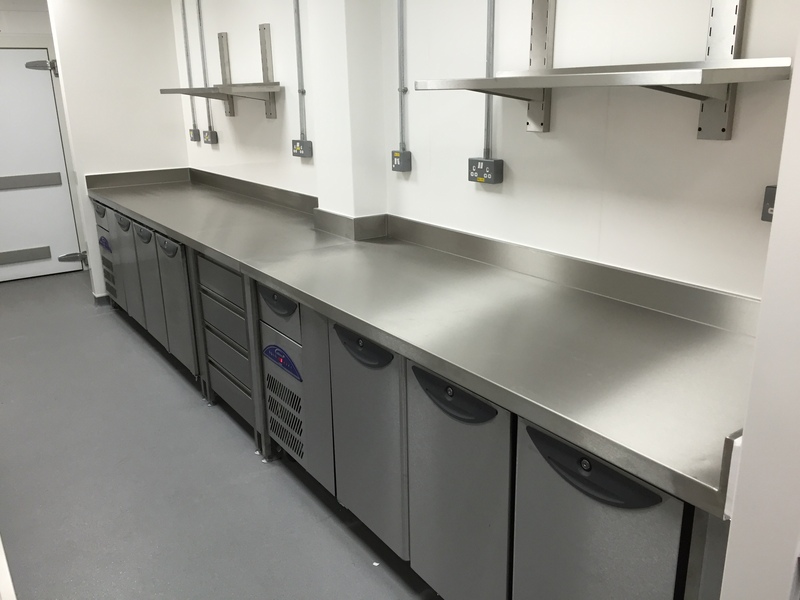 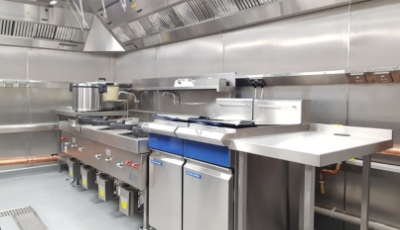 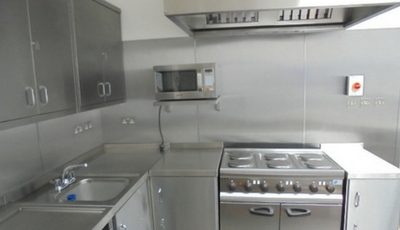 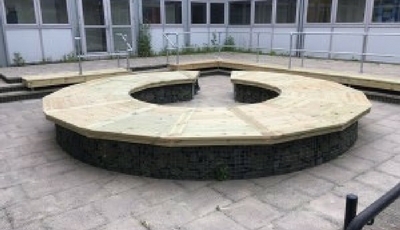 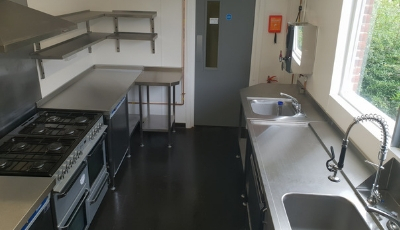 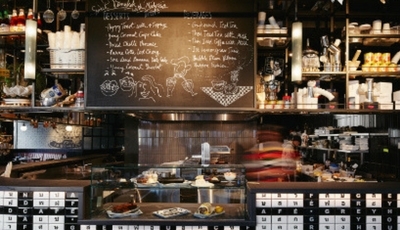 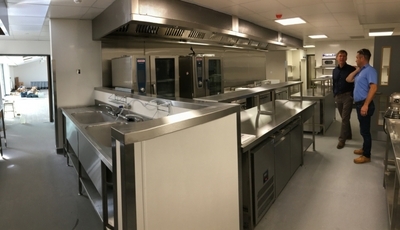 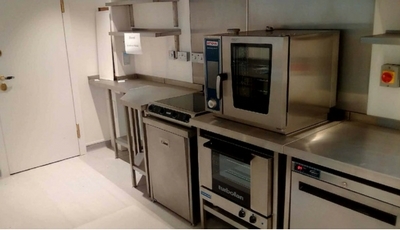 Supply and installation of the catering equipment, Preparation tables and bespoke service counter.